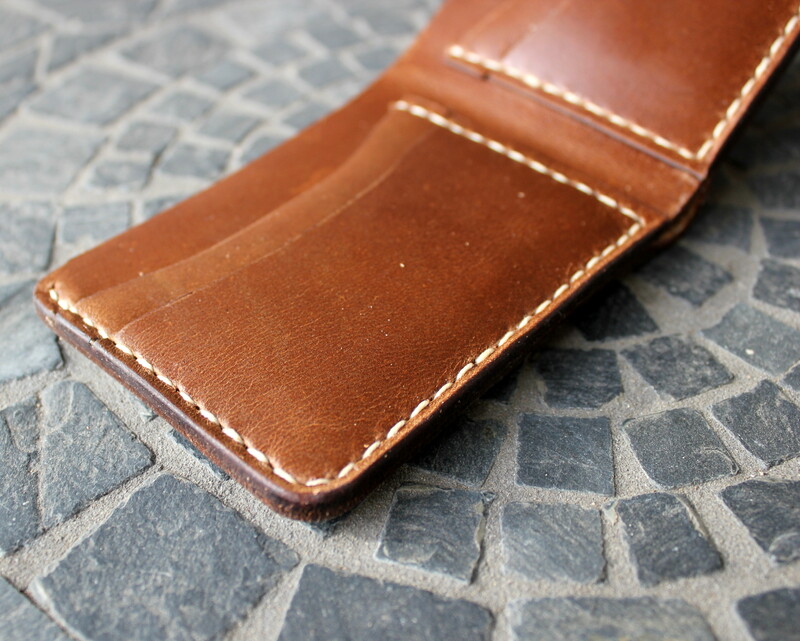 Guarded Goods is a made-to-order service that focuses on delivering high quality and well constructed leather accessories. Guarded Goods offers exceptional products at a fraction of the price of other retailers. 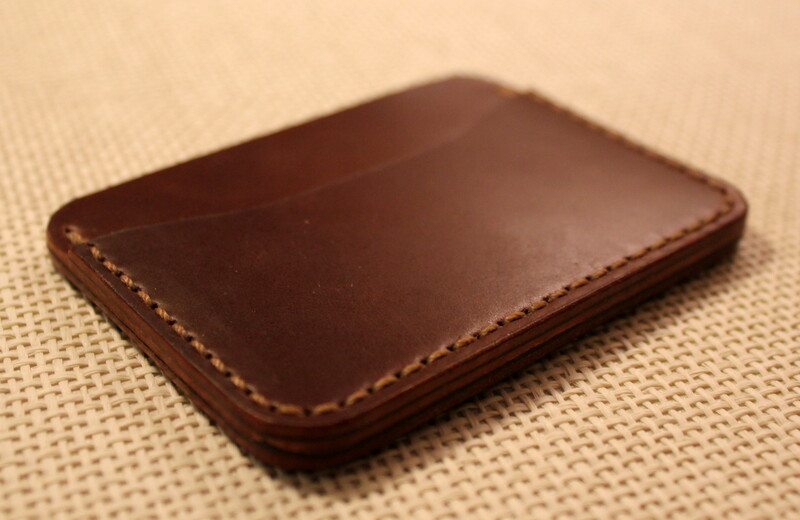 They make great handmade wallets, cardholders, and iPad holders. 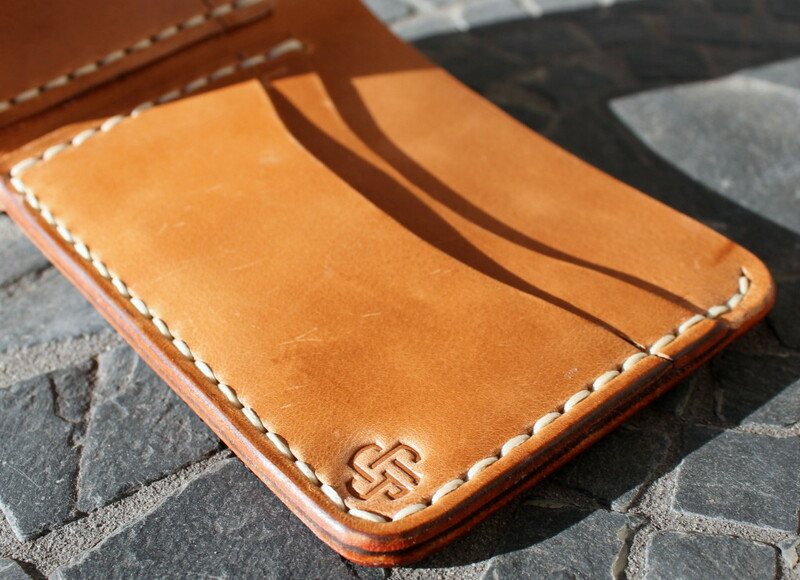 Guarded Goods is also open to creating any kind of custom leather project. I got a chance to ask the owner a few questions about his business. Definitely stay tuned below for it. 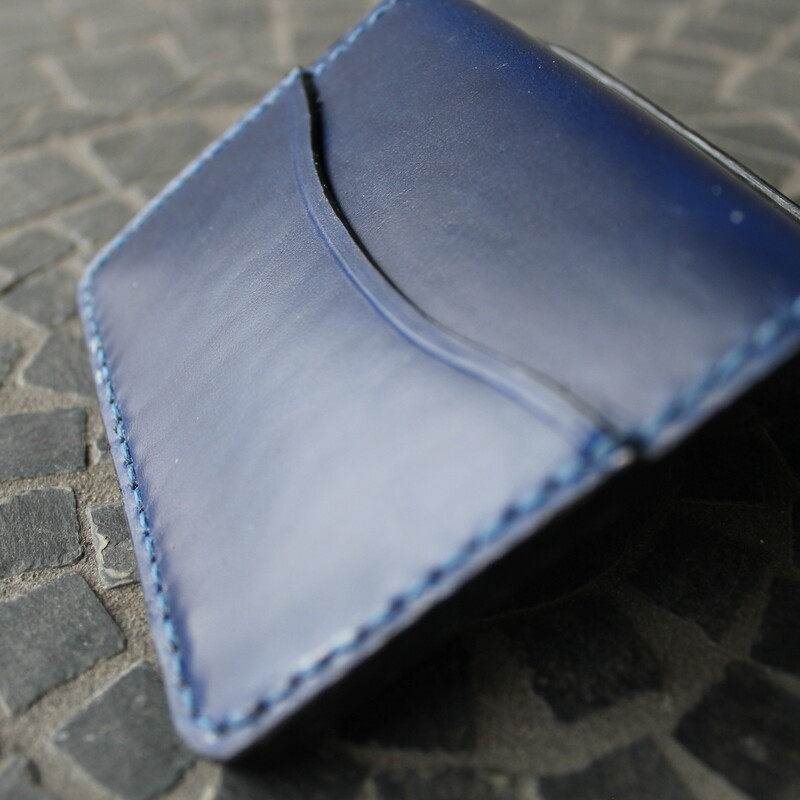 We also want to announce that we are giving away a Free Guarded Goods Aegis cardholder. The rules and the widget to enter is below. As a heads up this is open to everyone in the world. Also check out the bottom of the article to see an exclusive discount code for Something Bespoke readers as well! Briefly introduce yourself and your company to us. Why did you pick the name Guarded Goods? My name is Jesse Ducommun (the last name is important) and I am 25-years-old. I’m proud to call Minnesota my home with my wife and cat (Gandalf). I went to school for Business Marketing and have a daytime job as a Business Analyst. 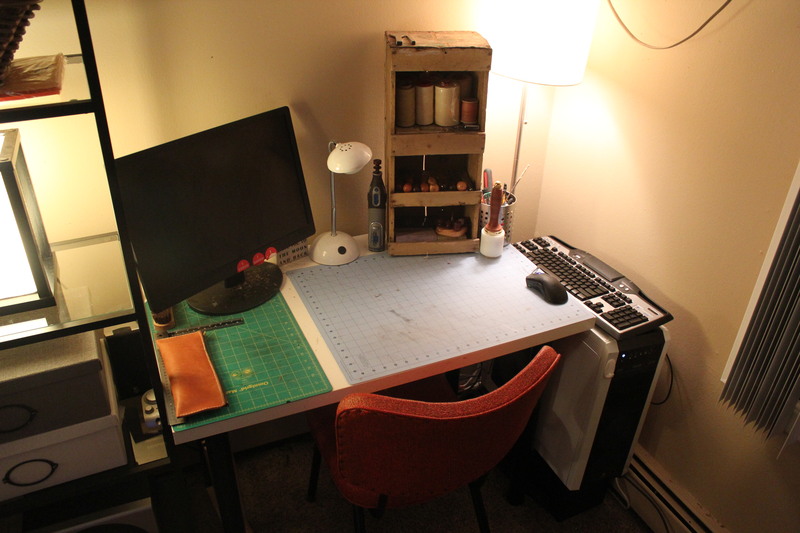 My days are filled with Excel spreadsheets and my nights are filled with leather and thread. I spent a few weeks trying to think of a good name as I wanted it to have personal meaning to me as well as having some relevance to the consumer and what I sold. My last name is Swiss French in origin and means “someone who held or guarded a common good”. 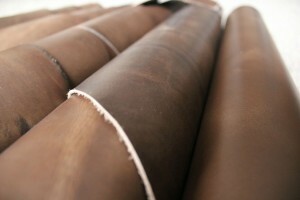 How long have you been working with leather for? That’s a funny question because today will be exactly one year since I placed my first order with Tandy Leather Factory. 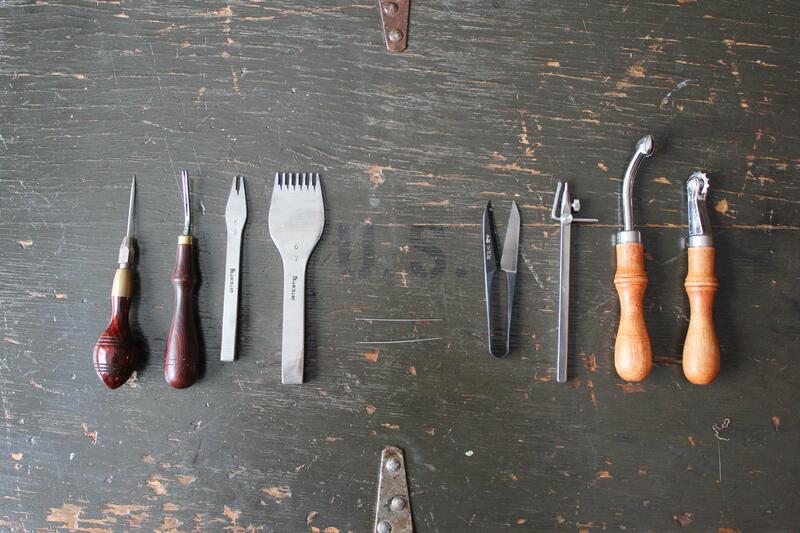 I ordered some basic tools and a side of vegetable tanned leather and that began my journey. For the first month, I made multiple wallets every night to practice and still have all of my first projects in a box. Almost every night and weekend has been devoted to initially practicing and now to fulfilling orders. 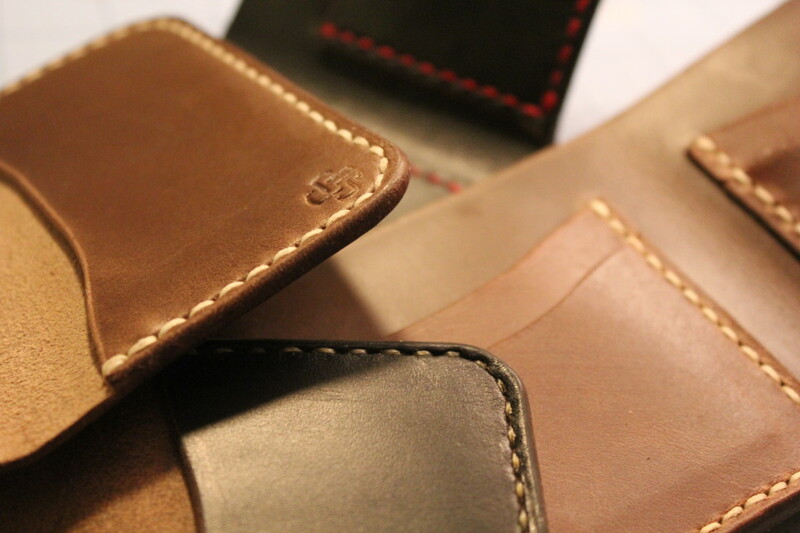 What made you decide that you wanted to turn it into a business and make wallets for others? I’ll start with telling why I got into leather. There are a few reasons why I decided to get into leatherworking. Previously, most of my skills or hobbies revolved around a computer. Don’t get me wrong… gaming and graphic design are fun and a good way to kill time, but I was looking for something a little more. Many of my friends had hobbies such as rock climbing or woodworking that they were really passionate about and enjoyed talking to others about. I felt the need to pick up a hobby or skill where I would actually use my hands and produce something substantial and real. The second reason was that I actually wanted a new wallet and figured I could invest in a few tools and leather for the same price for the wallet I wanted. My initial intention was just to make myself a wallet but after seeing the initial finished wallet, I wasn’t satisfied with my finished product so I kept practicing. Eventually, I figured I could actually turn it into a side business. I had no expectations when I opened my Etsy shop. Whether it was going to be selling one wallet a month or one a day, I had no idea. Since I opened my Etsy shop and website, I’ve had over 650 orders which is pretty crazy. The idea that people in over 25 countries around the world have ordered wallets from me is an absolutely unreal thought to me. It is kind of cool to think that people can and will be using my wallets for years to come from all over the world. You mentioned custom leather projects. Could you please give us some details about that? Definitely. I have about 10 – 15 items that I make pretty consistently. After a large group of orders, I always have a desire to do something I have never made before. Whether it is a previous request that someone has contacted me about or just creating something on my own, taking on a new project is what keeps my creative juices flowing. I am always open to trying something new! What is the biggest struggle you have had to go through with your business? The biggest struggle so far was easily taxes. Working a salaried job during the day, I was used to getting taxed but never seeing the money in the first place so it never really fazed me. It isn’t until you have your own small business after putting countless hours into your craft where you realize how much you have to pay in taxes when the time comes. I knew it was coming but it was still a shock when I finally figured out what I owed. My wife is easily my biggest fan, supporter, and helper. She is incredibly patient with me as I spend most of my nights working on projects or orders. We’re in a one bedroom apartment right now so we’re always in the same room hanging out. Guarded Goods is definitely not a “one man operation”. My wife is my creative director, packaging master, product tester, and most importantly encourager. She has made a few items for herself and we’re thinking about getting a sewing machine so she can start making totes and more female oriented items. What would you say sets your products apart from the others on the market? Could you also talk about where you source your materials from? My business plan has always been to provide quality handcrafted leather goods at a reasonable price that I would feel comfortable paying for if I was a consumer. The quality part is essential when comparing my wallets to most wallets you could purchase from a store. I won’t pretend you couldn’t buy a wallet from any department store for $20 and it wouldn’t last for a few years, but you do so with the understanding that it was likely made in another country and is made as cheaply as possible. It is made with “leather” and stitched with a machine which will not stand up to the same stress and wear that a handcrafted product will. The current trend seems to be to buy cheap and to buy often. I would challenge that thinking and ask people if they would rather spend a little more money to receive a product that will last them significantly longer made from American materials all while supporting a small business owner. When speaking about your brand it is important to be honest. It would be pretty easy for me to say that my products are significantly better than other leatherworkers who follow the same type of aesthetic and practice (handmade and hand stitched from start to finish), though I feel that would be disingenuous. There are many leatherworkers out there who have absolutely insane products who I have the utmost respect for (ex: Hollows Leather and The Black Acre). To be completely honest, my products are no better than theirs. 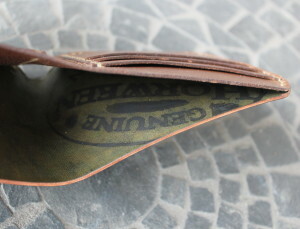 I don’t consider anyone who makes handcrafted leather products competition. I see it more as a community of people who strive to make each other better by getting continually upping their game. Some of these guys have been around for many years and it definitely shows. They continue to be great inspiration for me. Materials are a very important part of any craft. I source my materials from American companies whenever possible. Almost all of my leather comes from two American tanneries who have been around for a combined 256 years (Horween and Wickett & Craig). You aren’t in business for 100+ years if you have subpar products. I have several sources for the waxed thread I use but the one I use most often is from a Danish company that has been around for 119 years. What is the most rewarding thing about starting Guarded Goods? The most rewarding part is getting the positive feedback from customers. 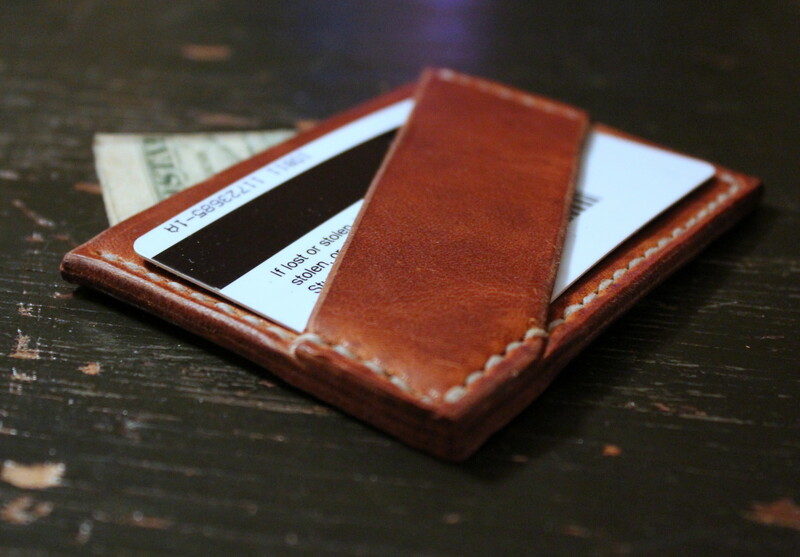 You know you have to be doing something right when people come back a second time and buy another wallet for a family member or friend. 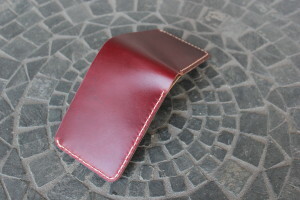 The fact that people all over the world are carrying a wallet I made with my own hands still astounds me. 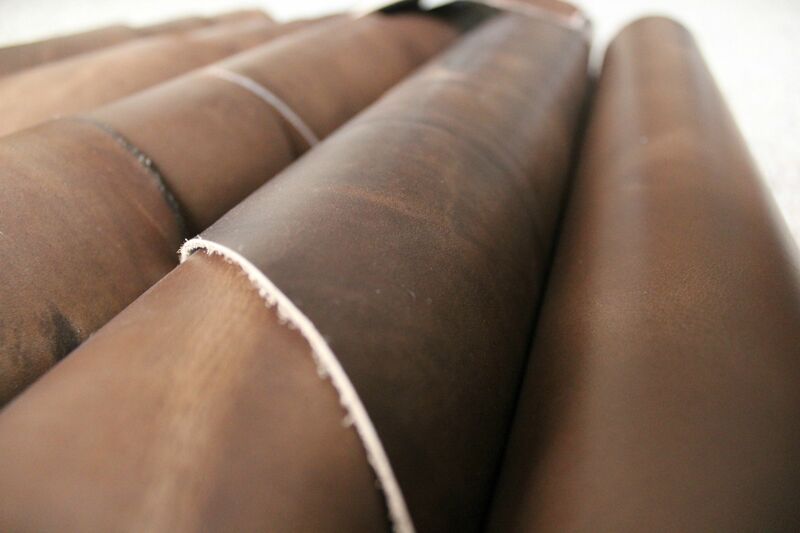 Would you like to someday become a household name in the leather industry? I think being a household name would be a cool concept. More importantly, being broadly recommended by people would be a bigger goal for me. It is a great feeling to have someone tell you a previous customer recommended me to them. Maybe some day I will be a household name or maybe I won’t. Regardless of what happens, it won’t change my work ethic or my desire to provide people with quality goods. Where do you see Guarded Goods in two to three years? No matter where I end up, it is very important for me to stay true to my roots. The handcrafted aspect of my products is incredibly important to me and I won’t ever get away from that. People have asked me if I am ready to outsource my products and my answer is always the same. There wouldn’t be any fun in owning a business if I don’t get to get my hands dirty. There are a few things I could do to increase my efficiency and waste but it would take significant investment. Perhaps in a few years I can do that unless I stumble upon a kind soul who wants to invest. This would ultimately allow me to make some of my products a little faster and hopefully reduce my operating cost as well as the retail price for the consumer. Beyond that, I would like to continue to expand the types of products offered along with the number of leathers available. It would be pretty fun to get involved in some local pop up markets as well. Being 6’10”, I actually think I inspired the iconic Thom Browne look when I was shopping for pants in a department store once. Thom was eyeing me from across the store and a week later he unveiled the flood pant look at a fashion show. I have yet to receive any compensation. What?! You are 6’10??! Any final thoughts you would like to leave the readers with? Yeah – I guess I am kind of tall. I would challenge people to support local businesses whenever possible. It is cool to see small businesses grow and thrive in an environment of constant change and uncertainty. A lot of these people invest significant time, effort, and personal finances in hopes of being successful at something they love. Buy local! Right below is the widget to enter. Follow the instructions to win your very own Free Guarded Goods Aegis cardholder!!! Jesse has been kind enough to offer us a special discount! 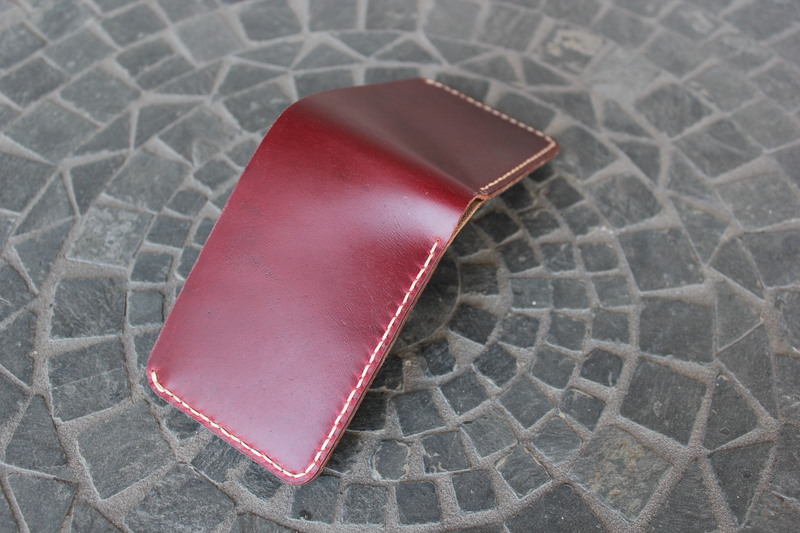 Visit Guarded Goods and use the code “BESPOKE15” for 15% off all orders (excluding shell cordovan wallets). Code is only valid until April 29, 2014 so act fast if there is anything you like!